We are very happy with the trailer we bought last July, both the quality and the features. In our first 6 months we have logged over 10,000 miles and have enjoyed every bit of our time in it. However, making it our own, to fit our particular wants and needs, morphed into quite a list. We are right at about 110 items, but we are mostly done, there are less than 10 items on our "to do" list now. Much of what we’ve done was learned here on the forum, much was a matter of looking at what was, and what we wanted it to be. Sharing what we’ve done, along with photos, may be of some help to other newbies, just like we got help reading of other’s mods here. It will take a bit of time to list them all, along with photos, but I will post as I have time. 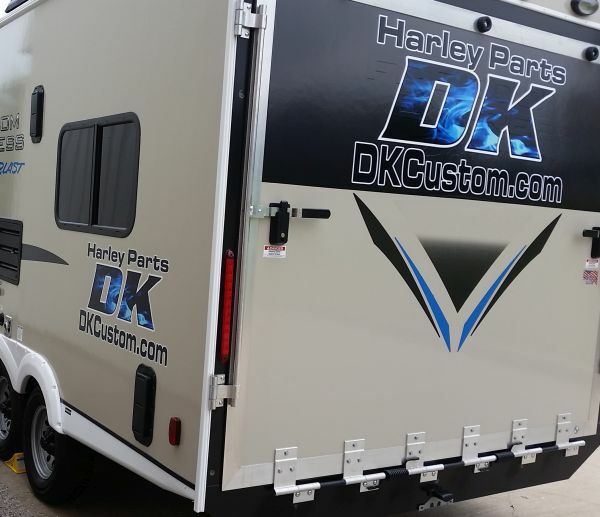 Here we are our first weekend at the lake, with the factory graphics. A week later a local shop had some nice graphics they applied to all four sides. 2. We did not like how the water pump pulsed. 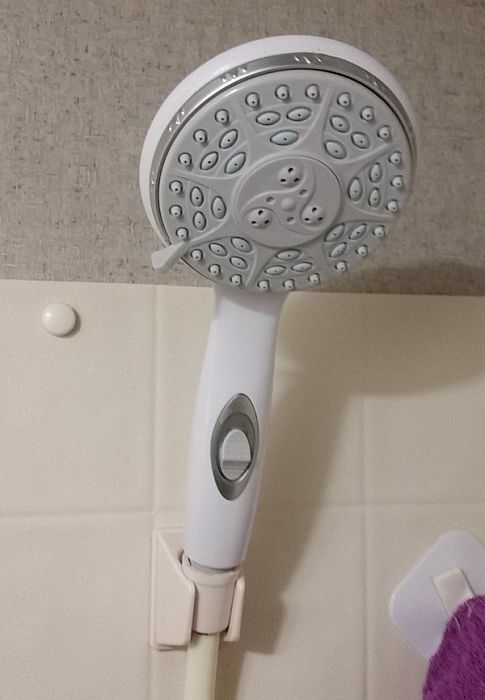 Both the sound and the variation in water pressure. I thought about doing a larger accumulator, but decided to give the little Shurflo a go. It was a fairly easy installation. Accumulator, 4 fittings and hose all from Amazon Prime. Installed a cross-member and affixed it to that. Followed the directions on setting the bladder pressure. The improvement is well worth it to us. No more variation in water pressure, and sound of the pump is no longer irritating. 3. One of the first things we realized we did not like...the bathroom door opened right into whoever was standing at the kitchen sink or stove. We got to where we had to call out a warning "Opening the door", before opening the door so we did not bang it into each other. 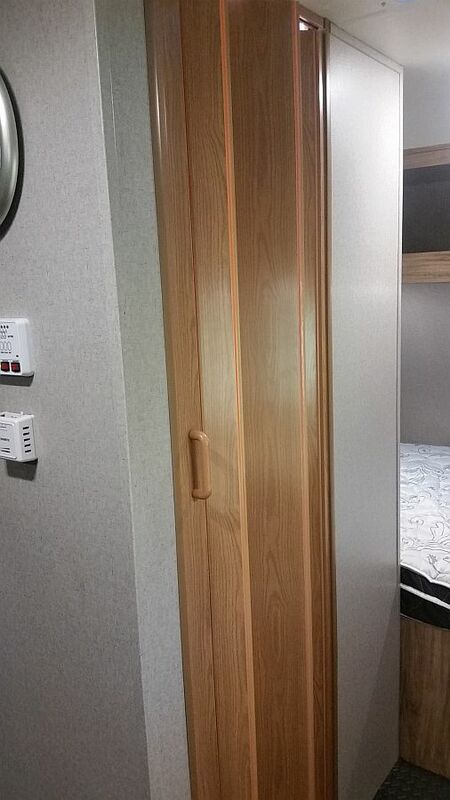 We removed the door and installed an accordion door. It was a bit of a PITA, but, WOW, it is really nice now! 4. Another area that was a bit tight was the shower. 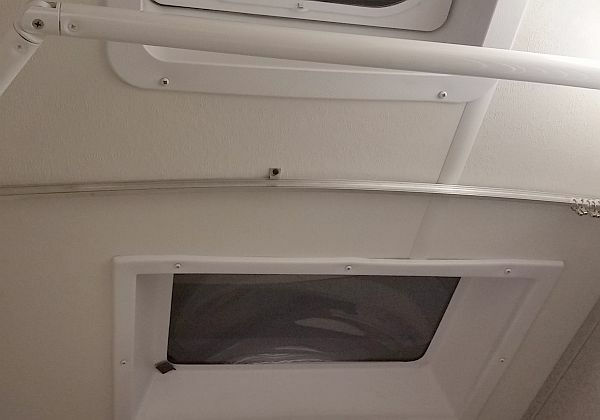 The OEM curtain has a slight arc in it, in a nod to giving more space...but it was still quite tight. 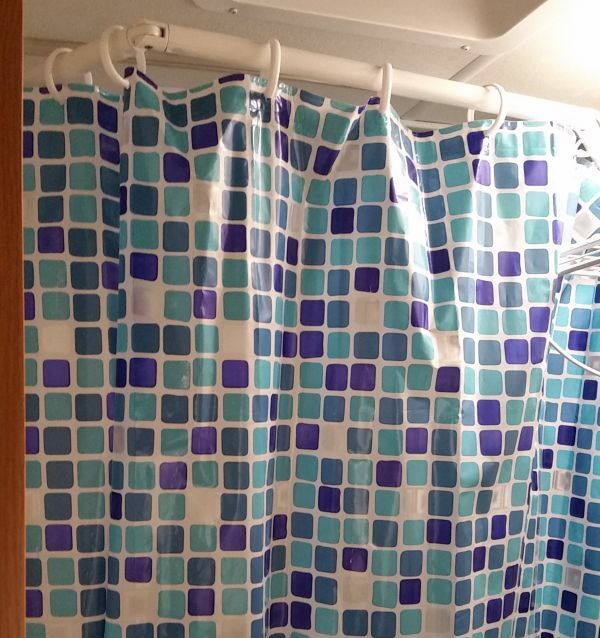 We got the Stromberg Carlson EXT-3542 Extend-A-Shower, again, from Amazon Prime and it gives quite a bit of extra space now. Do not feel crowded at all. 5. While the OEM showerhead did the job, we figured we'd give the Camco a shot. It was a good improvement, and less than $10....yep, Amazon Prime. Oh, and in the above pic you can see a little hook that we placed on the shower wall. Quite handy. 6. 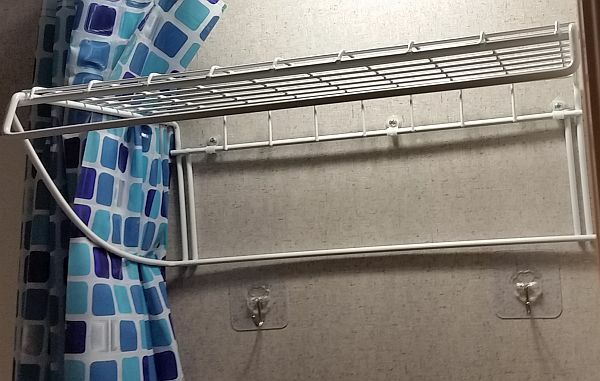 We installed a shelf next to the shower, along with two hooks. Works well and used daily. Will post more as time allows. Your shower mod caught my attention. Ours is the typical thing, rod straight across and we wear the curtain during a shower. Any chance you could post a couple more pics to see the difference in room it makes? Andcthe overall view? I see the old I beam rod on the ceiling, so can see some of the increased space. Is there support at the outside end of the rod? Good you posted part numbers. I just may have to hop on to my Amazon prime and get me one! go to amazon there is a pictures showing it pushed in and pushed out. I like it so ordered one. Thanks for the post. I thought about doing a larger accumulator, but decided to give the little Shurflo a go. I Love my Shurflo accumulator. I've been running the same one since about 2004. 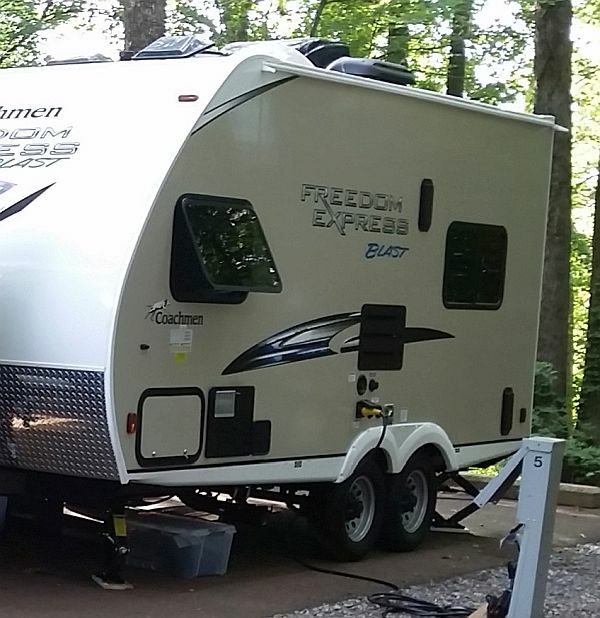 I pulled it out of my first RV and moved it to my second RV. I need to hit up Amazon for the flexible hose. RV dealers around me only carry hard line (PEX) tubing. Lowes, Home Depot, etc. should have the flexible line. Will get some photos...it is about an extra 8" wide at the top...the difference between "wearing the curtain" and having plenty of room without bumping into it. The rod articulates and we have a little velcro strap that holds it in place while traveling. Cool! Hope you like the improvement as much as we do. LDR Industries 516 B1210 Nylon Tubing, 1/2" x 10', Clear is the tubing we got off Amazon. I'm carrying what we did not use, along with some couplers & hose clamps, in case any of the OEM hose ever needs replacing. 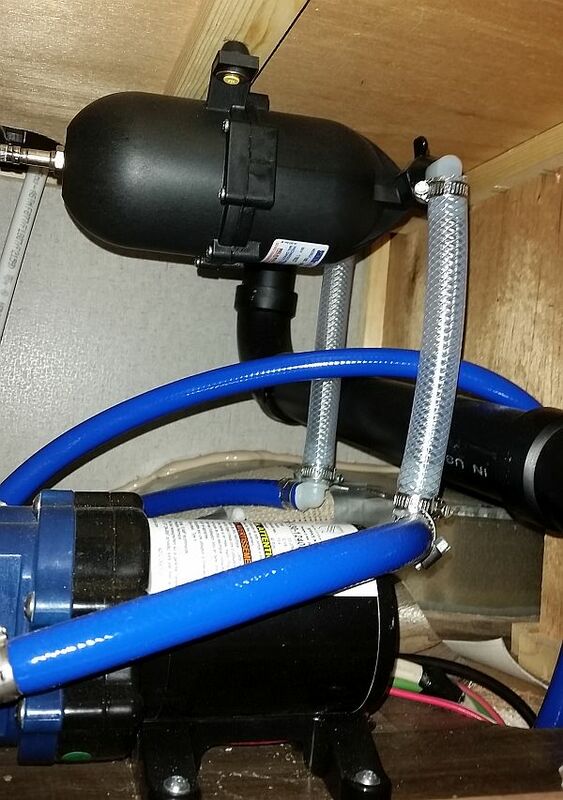 Our Lowes, Home Depot and TSC did not have what we were looking for in fittings or hose. Ended up getting in off Amazon.